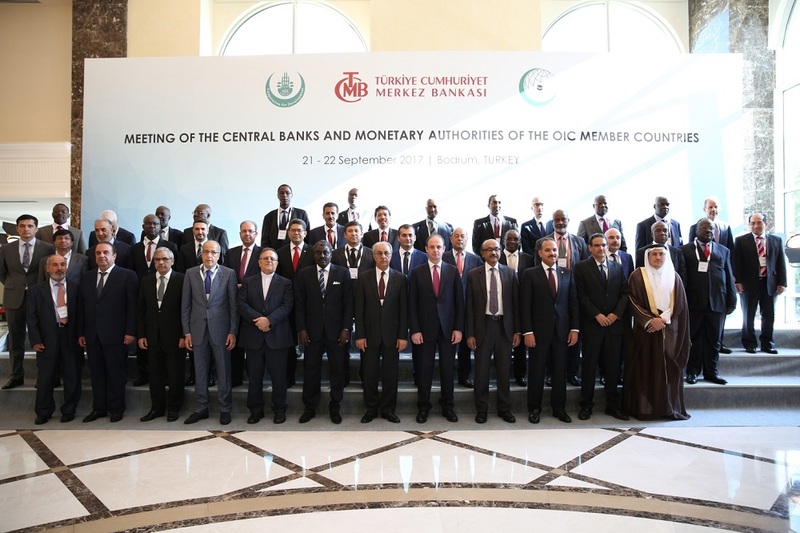 The Central Bank of the Republic of Turkey hosted the 15th Meeting of the “Central Banks and Monetary Authorities of the OIC Member Countries” to discuss possible cooperation areas in the domain of central banking and monetary policy-making, and to review the impacts of global financial developments on Member Countries. 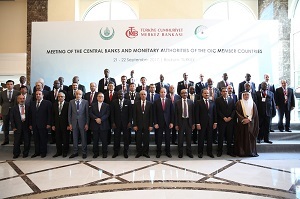 The meeting was attended by 68 high-level officials including 8 Governors from the Central Banks and Monetary Authorities of 26 OIC Member Countries. The first day of the meeting was devoted to the finalization of the communique of the Meeting with the attendance of senior level experts. In the evening of the first day, a reception was hosted by the Central Bank of the Republic of Turkey. At the reception, H.E. 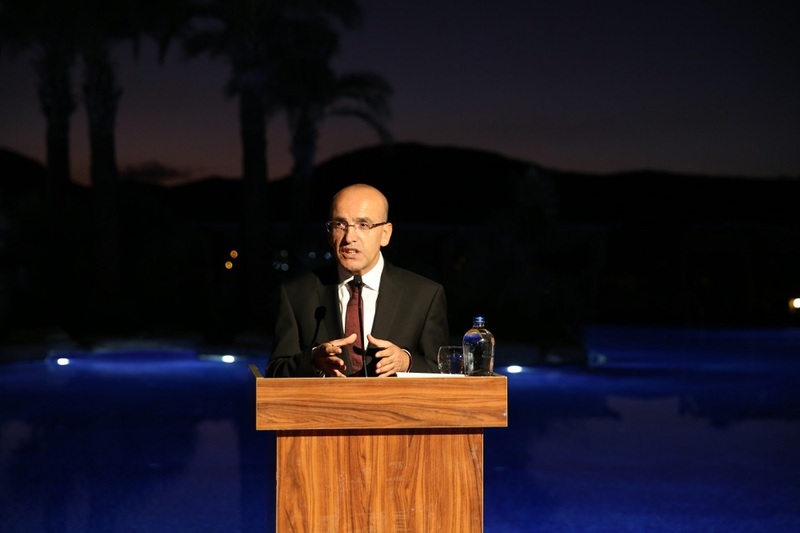 Mr. Mehmet Şimşek, Deputy Prime Minister of the Republic of Turkey, made a speech on the global economic developments and recent trends in Turkey. The second day started with the welcoming remarks of the Governor of the Central Bank of the Republic of Turkey (CBRT), H.E. Mr. Murat Çetinkaya. The morning programme continued with Session I “Global Economic and Financial Developments” where four lead speakers presented their ideas and shared their own perspectives. In this session, H.E. Amb. Musa Kulaklıkaya, Director General of SESRIC, addressed the Meeting. In the speech, H.E. Amb. Musa Kulaklıkaya, overviewed the recent macroeconomic and financial developments in OIC Member Countries as well as elaborated major threats and challenges faced by their economies. In Session II, the topic on “fostering stable and inclusive financial systems” was elaborated by four lead speakers. In Session III, the final communique of the Meeting was adopted. 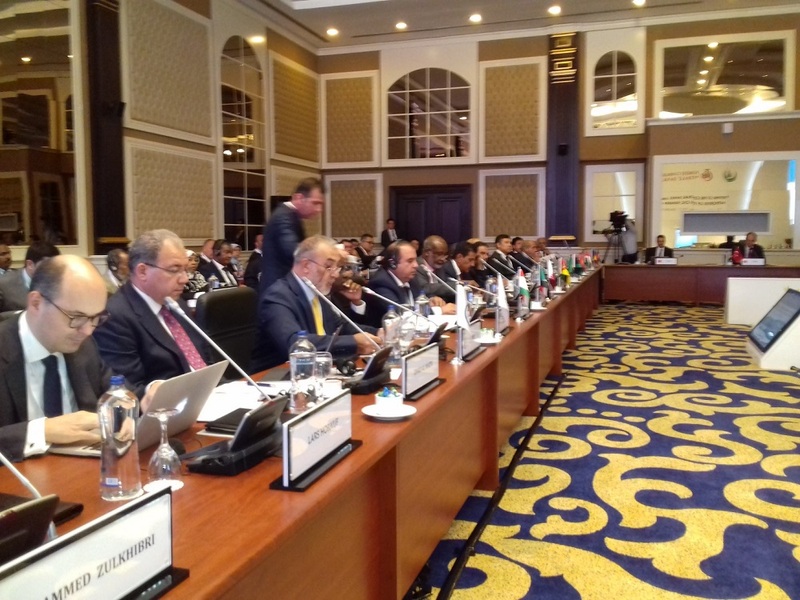 Among other important decisions of the Meeting, the final communique agreed to establish two working groups to prepare technical background papers in the following areas: Financial Inclusion and OIC Economic Outlook. These working groups are expected to report to the next Meeting of the Central Banks and Monetary Authorities of the OIC Member Countries which will take place in 2018.